Artificial intelligence (AI, also machine intelligence, MI) is intelligence displayed by machines, in contrast with the natural intelligence (NI) displayed by humans and other animals. In computer science AI research is defined as the study of "intelligent agents": any device that perceives its environment and takes actions that maximize its chance of success at some goal. Colloquially, the term "artificial intelligence" is applied when a machine mimics "cognitive" functions that humans associate with other human minds, such as "learning" and "problem solving". The scope of AI is disputed: as machines become increasingly capable, tasks considered as requiring "intelligence" are often removed from the definition, a phenomenon known as the AI effect, leading to the quip "AI is whatever hasn't been done yet." For instance, optical character recognition is frequently excluded from "artificial intelligence", having become a routine technology. Capabilities generally classified as AI as of 2017 include successfully understanding human speech, competing at a high level in strategic game systems (such as chess and Go), autonomous cars, intelligent routing in content delivery networks, military simulations, and interpreting complex data, including images and videos. The traditional problems (or goals) of AI research include reasoning, knowledge, planning, learning, natural language processing, perception and the ability to move and manipulate objects. General intelligence is among the field's long-term goals. Approaches include statistical methods, computational intelligence, and traditional symbolic AI. Many tools are used in AI, including versions of search and mathematical optimization, neural networks and methods based on statistics, probability and economics. The AI field draws upon computer science, mathematics, psychology, linguistics, philosophy, neuroscience, artificial psychology and many others. The field was founded on the claim that human intelligence "can be so precisely described that a machine can be made to simulate it".This raises philosophical arguments about the nature of the mind and the ethics of creating artificial beings endowed with human-like intelligence, issues which have been explored by myth, fiction and philosophy since antiquity. Some people also consider AI a danger to humanity if it progresses unabatedly. Others believe that it is primarily a risk to employment: a frequently cited paper by Michael Osborne and Carl Benedikt Frey found that almost half of U.S. jobs are at risk to automation due to AI. Elon Musk is the co-founder and chairman of OpenAI, founded December 11, 2015, a non-profit research company working to build safe artificial intelligence and ensure that AI's benefits are as widely and evenly distributed as possible. OpenAI has a full-time staff of 60 researchers and engineers. The company focuses on long-term research, working on problems that require fundamental advances in AI capabilities. OpenAI publishes at top machine learning conferences, open-sources software tools for accelerating AI research, and releases blog posts to communicate research. Researchers demonstrated that they could decode speech from recordings of neurons firing. Artificial intelligence (AI) and machine learning (ML) are reaching into a growing number of applications, systems, and business processes. Unified communications (UC) platforms, which power much of the collaboration in enterprises today, is one of them. Artificial intelligence is invading many fields, most recently astronomy and the search for intelligent life in the universe, or SETI. 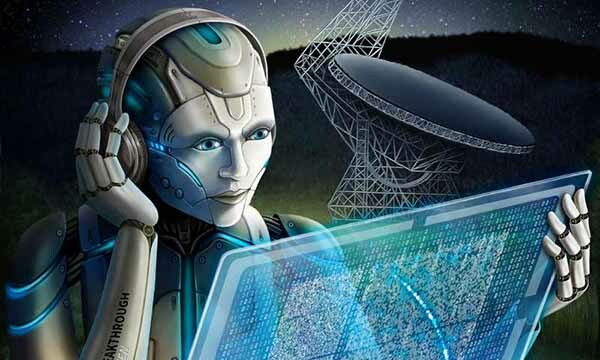 Researchers at Breakthrough Listen, a SETI project led by the University of California, Berkeley, have now used machine learning to discover 72 new fast radio bursts from a mysterious source some 3 billion light years from Earth. Fast radio bursts are bright pulses of radio emission mere milliseconds in duration, thought to originate from distant galaxies. The source of these emissions is still unclear, however. Theories range from highly magnetized neutron stars blasted by gas streams from a nearby supermassive black hole, to suggestions that the burst properties are consistent with signatures of technology developed by an advanced civilization. The inevitable march toward automation continues, analysts from the McKinsey Global Institute and from Tata Communications wrote in separate reports this week. Artificial intelligence�s growth comes as no surprise - a survey from Narrative Science and the National Business Research Institute conducted earlier this year found that 61 percent of businesses implemented AI in 2017, up from 38 percent in 2016 - but this week�s findings lay out in detail the likely socioeconomic impacts in the coming decade. New Balance put together a one-day activation during New York Fashion Week that used "Real Time Exception Spotting" technology to look for people who fashionably stood out from the crowd. If you were considered an "exception" by the AI, New Balance surprised you - on the spot - with a pair of New Balance Fresh Foam Cruz Nubuck shoes. It took nearly a century of trial and error for human scientists to organize the periodic table of elements, arguably one of the greatest scientific achievements in chemistry, into its current form. A new artificial intelligence (AI) program developed by Stanford physicists accomplished the same feat in just a few hours. For years, the people developing artificial intelligence drew inspiration from what was known about the human brain, and it has enjoyed a lot of success as a result. Now, AI is starting to return the favor. 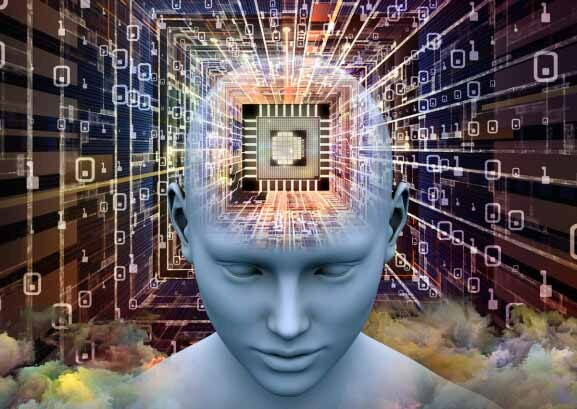 Although not explicitly designed to do so, certain artificial intelligence systems seem to mimic our brains' inner workings more closely than previously thought, suggesting that both AI and our minds have converged on the same approach to solving problems. If so, simply watching AI at work could help researchers unlock some of the deepest mysteries of the brain. As during the Cold War after World War II, nations are developing and building weapons based on advanced technology. Artificial Intelligence software has beaten humans in one of the world's most-challenging reading comprehension tests. In a feat being hailed as a world first, a deep neural network scored higher than the average person on a Stanford University designed quiz. The breakthrough could lead to more advanced robots and automated systems, capable of solving complex problems and answering difficult questions. 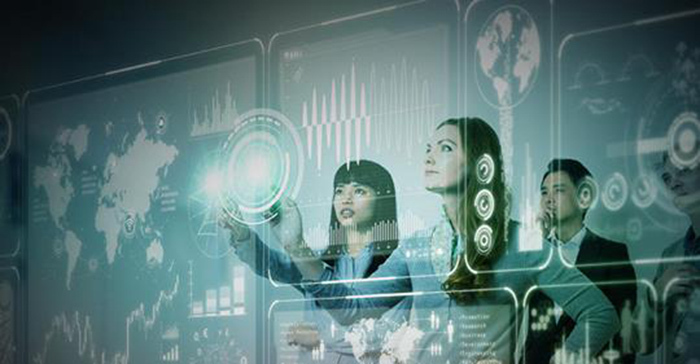 Future applications could range from customer service to helping tackle social and political issues, like climate change and conflicts over resources. Japanese scientists have create a creepy machine that can peer into your mind's eye with incredible accuracy. The AI can study electrical signals in the brain to work out exactly what images someone is looking at, and even thinking about. The technique could theoretically be used to create footage of daydreams and to help patients in permanent vegetative states to communicate with their loved ones. The year began on a spectacular note as the news of an AI defeating four human players in a poker match lasting 20 days hit the Internet. The news was particularly important as in a similar match two years back, humans won. But this victory was just the beginning of the never-ending series of striking and noteworthy developments in the field. As the year progressed, we saw AI being used extensively not just for tracking human behavior on social media but also for detecting various diseases like Alzheimer's and cancer. Apart from this, we also witnessed AI getting a step closer to �being human'. While on one hand AI successfully managed to emote, exhibiting emotions like aggression and cooperation, on the other hand, Saudi Arabia granted citizenship to world's first ever AI-based robot- Sophia. Following the trend, Tokyo granted residency to 'AI boy' Shibuya Mirai. Will robots one day destroy us? It's a question that increasingly preoccupies many of our most brilliant scientists and tech entrepreneurs. For developments in artificial intelligence (AI) - machines programmed to perform tasks that normally require human intelligence - are poised to reshape our workplace and leisure time dramatically. This year, a leading Oxford academic, Professor Michael Wooldridge, warned MPs that AI could go �rogue', that machines might become so complex that the engineers who create them will no longer understand them or be able to predict how they function. Google's latest neural image assessment system (NIMA) is using AI to scan all the pictures you took on your phone for quality and then help choose the most attractive ones. The system uses deep convolutional neural networks, a type of computing system that replicates the biological networks in the brain, to scan phone photos for both technical and aesthetic elements. Google hopes to develop the system as app to suggest improvements such as tweaks to brightness and contrast in real time, and even offer tips to improve the framing and 'aesthetic beauty and emotional appeal' of images. Scientists who understand the potential of artificial intelligence have a significant fear: killer robots, also known as autonomous weapons. In August, more than 100 technology leaders, including Tesla and SpaceX CEO Elon Musk, signed an open letter calling on the United Nations to ban the development and use of artificially intelligent weaponry. Musk has tweeted that he fears a global arms race for artificial intelligence will cause the third World War. Monday, the famous physicist Stephen Hawking warned of the importance of regulating artificial intelligence: "Unless we learn how to prepare for, and avoid, the potential risks, AI could be the worst event in the history of our civilization. It brings dangers, like powerful autonomous weapons, or new ways for the few to oppress the many," he said at the Web Summit technology conference in Lisbon. World-renowned physicist Stephen Hawking has warned that artificial intelligence (AI) has the potential to destroy civilization and could be the worst thing that has ever happened to humanity. Speaking at a technology conference in Lisbon, Portugal, Hawking told attendees that mankind had to find a way to control computers. Computers can, in theory, emulate human intelligence, and exceed it. Success in creating effective AI, could be the biggest event in the history of our civilization. Or the worst. We just don't know. So we cannot know if we will be infinitely helped by AI, or ignored by it and side-lined, or conceivably destroyed by it. Professor Stephen Hawking has issued a chilling warning about the imminent rise of artificial intelligence. During a new interview, Professor Hawking warned that AI will soon reach a level where it will be a 'new form of life that will outperform humans. 'Professor Hawking even went so far as to say that AI may replace humans altogether, although he didn't specify a timeline for his predictions. What has improved American lives most in the last 50 years? According to a Pew Research study reported this month, it's not civil rights (10 percent) or politics (2 percent): it's technology (42 percent). And yet, according to other studies, most Americans are wary of technology, especially in areas of automation (72 percent), or robotic caregivers (59 percent), or riding in driverless vehicles (56 percent), and even in using brain chip implants to augment the capabilities of healthy people (69 percent). Elon Musk is famous for his futuristic gambles, but Silicon Valley's latest rush to embrace artificial intelligence scares him. And he thinks you should be frightened too. Inside his efforts to influence the rapidly advancing field and its proponents, and to save humanity from machine-learning overlords. When we see two people meet, we can often predict what happens next: a handshake, a hug, or maybe even a kiss. Our ability to anticipate actions is thanks to intuitions born out of a lifetime of experiences. Machines, on the other hand, have trouble making use of complex knowledge like that. Computer systems that predict actions would open up new possibilities ranging from robots that can better navigate human environments, to emergency response systems that predict falls, to Google Glass-style headsets that feed you suggestions for what to do in different situations. This week researchers from MIT's Computer Science and Artificial Intelligence Laboratory (CSAIL) have made an important new breakthrough in predictive vision, developing an algorithm that can anticipate interactions more accurately than ever before. Prof Stephen Hawking, one of Britain's pre-eminent scientists, has said that efforts to create thinking machines pose a threat to our very existence. He told the BBC:"The development of full artificial intelligence could spell the end of the human race." His warning came in response to a question about a revamp of the technology he uses to communicate, which involves a basic form of AI. But others are less gloomy about AI's prospects. The theoretical physicist, who has the motor neurone disease amyotrophic lateral sclerosis (ALS), is using a new system developed by Intel to speak. Machine learning experts from the British company Swiftkey were also involved in its creation. Their technology, already employed as a smartphone keyboard app, learns how the professor thinks and suggests the words he might want to use next. Prof Hawking says the primitive forms of artificial intelligence developed so far have already proved very useful, but he fears the consequences of creating something that can match or surpass humans. A chunk of the genetic blueprint for yeast has been created and pieced together from scratch, paving the way for "designer" organisms that could produce new medicines, food products and biofuels, the creators say. Researchers took tiny snippets of man-made DNA and joined them together to create a synthetic version of a chromosome, the structure that contains DNA inside cells, from brewer's yeast. The ability to create such chromosomes is a major step for the field of synthetic biology, which aims to engineer microbes to produce useful products. The work also brings scientists closer to creating synthetic plants and animals. In a biological first, an international team has inserted a man-made chromosome into brewer's yeast, producing a life form that thrives and successfully passes the designer genes on to its offspring. The "synthetic" biology advance - the first synthesis of a working artificial chromosome in an organism more complex than a bacterium - opens the door wider to man-made microbes that may someday be designed to manufacture better fuels, food, and medicines. He walks, he talks and he has a beating heart, but he's not human - he's the world's first fully bionic man. Almost 30 robots have started teaching English to youngsters in a South Korean city in a pilot project designed to nurture the nascent robot industry. Engkey, a white, egg-shaped robot developed by the Korea Institute of Science of Technology (KIST), began taking classes Monday at 21 elementary schools in the southeastern city of Daegu. Space is about to get its first humanoid from planet Earth. Robonaut 2 - affectionately known as R2 - is hitching a one-way ride to the International Space Station this week aboard the final flight of space shuttle Discovery. It's the first humanoid robot ever bound for space, a $2.5 million mechanical and electrical marvel that NASA hopes one day will assist flesh-and-bone astronauts in orbit. The first prototype robots capable of developing emotions as they interact with their human caregivers and expressing a whole range of emotions have been finalized by researchers. Developed as part of the interdisciplinary project FEELIX GROWING (Feel, Interact, eXpress: a Global approach to development with Interdisciplinary Grounding), funded by the European Commission and coordinated by Dr. Canamero, the robots have been developed so that they learn to interact with and respond to humans in a similar way as children learn to do it, and use the same types of expressive and behavioral cues that babies use to learn to interact socially and emotionally with others. Robots are breaking barriers: Long banished behind steel barriers, they are entering new fields of application such as the manufacturing, household and healthcare sectors. The requisite safety can be provided by a tactile sensor system, which can be integrated in a floor or applied directly to robots as an artificial skin. A mobile robot carefully transports a sample through a biotech lab where it is surrounded by the routine hustle and bustle. Lab technicians are conversing with one another and performing tests. One technician inadvertently runs into the robot, which stops moving immediately. An artificial skin covering the robot makes this possible. As CHARLI takes his first steps, anxious onlookers stand ready to catch him if he falls. His stride is short, but upright, as one foot is placed in front of the other in the basement of Virginia Tech's Randolph Hall. He is a 5-foot tall humanoid robot built by graduate and undergraduate students with the Virginia Tech College of Engineering's Robotics and Mechanisms Laboratory (RoMeLa). body including a rotating head, arms, legs and six fingers plus three-dimensional vision to recognize chores that need to be tackled.